Why not? It is part of almost every view from that peninsula! 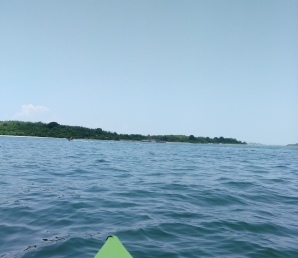 The Boston Harbor Islands always seem magical to me and kayaking there seems the better way to go! 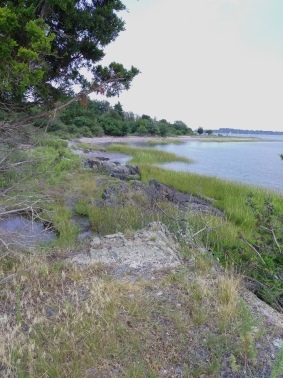 There are 50 acres that make up this island which consists of two drumlins with a connecting marshy lowland. There are two spits at either end. 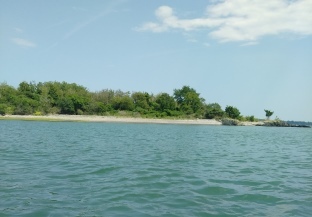 They are remnants of a time when Grape Island was connected to Weymouth Neck and nearby Slate Island. 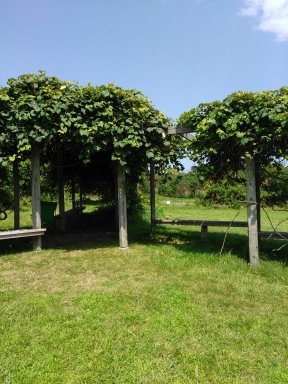 One of the first sights on Grape Island is a grape arbor with seating below it. Both Native American and Early Settler visited the island for it's wild fruit and varied seafood. 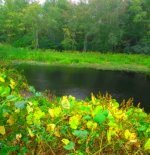 Grape Island was never used for anything else but agriculture, it was the site of an American Revolution event now known as the Grape Island Alarm. 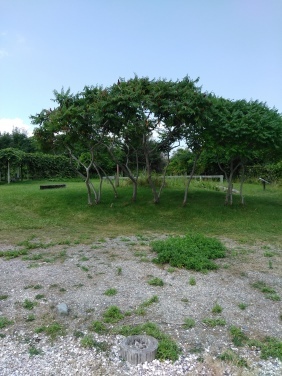 There are six species of edible berries that grow here. 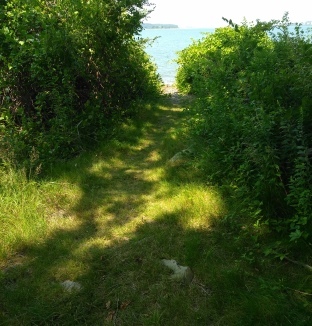 It became part of the Boston Harbor Islands State Park in 1973. 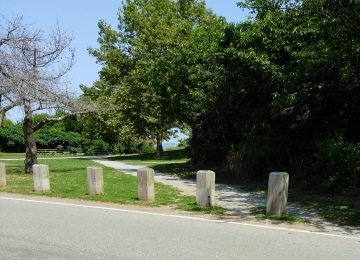 Follow the paved path on the right side of the parking area to the beach access to the right of this path. kayak, maybe a tenth of a mile. as it is pretty rocky. Once in, you will be amazed by how blue and perfect the water looks on a summer day. leaving Hewitt's Cove are often. 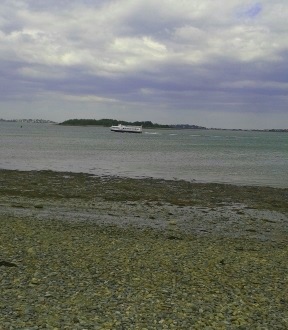 it is only a short distance to the island. So crossing the traffic area should be done as quickly as possible, but was a pretty easy affair. You will soon notice the pier with the Grape Island sign. If your trip is in the summer you must use the beach to the right of it to land your watercraft. 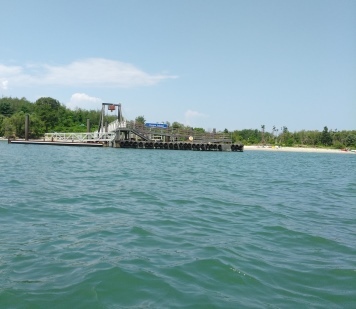 If it is after season you can pull up to the dock, but it is just as easy to use the beach. 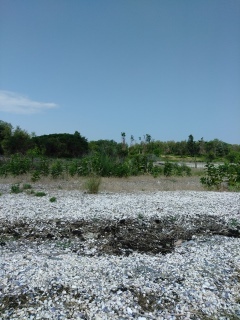 The beach is made up of primarily sea shells. Native Americans also called Midden. the oldest site of human activity on the islands. present a brochure may be obtained. that coincide with the numbers on the brochure. They relate the history or bring out interesting facts at each site. 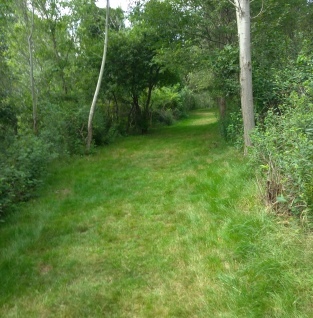 The hiking trails are fairly wide and easy. There will be a kiosk with a handmade trail map. A solar powered outhouse will be shortly up the trail on the right. The usual trail measuring that takes place for trail descriptions was not done here. So this will be a description of what was encountered. The loop around the island is approx. one mile but of course measures more when you are exploring somewhere new. 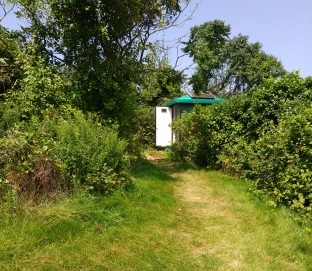 The first campsites you will come upon will be the group camping sites. They seemed to be just large grassy areas. On the opposite side of the island were trails out to the beach part of the island. I walked this portion and connected to another trail so I may have missed some of the trail. There are several individual campsites. 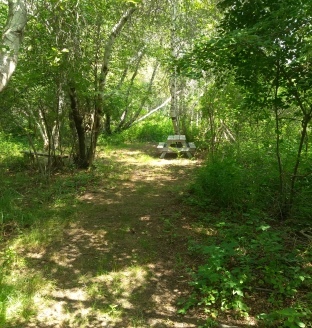 Some come with a grill or a bench, all with a picnic table. Camp fires would be done on the beach. 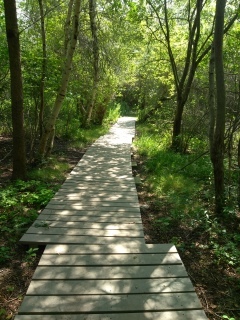 Shortly after is a boardwalk. of the campsites and back to the pier. to visit there as well. 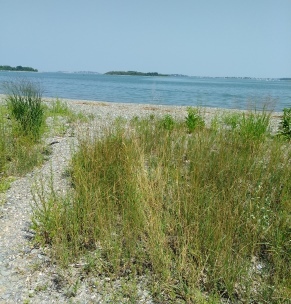 The shore line facing Hingham had a bit of a beach. The return trip to Webb Memorial was the same way we came. From route 3 take exit 16 and head north on route 18. At the second set of lights route 18 ends. Go left on route 53. (Washington St).,Follow til the 2nd set of lights and take a right on Commercial St. Follow approx. 2 miles and take the left on Church St. At the next set of lights take a left and then quick right on Green St., Follow up to route 3A and go straight across onto Neck St. Neck St will take a turn and the road will become River St. Follow to the end for Webb Memorial. The harbor islands have no fresh water, it must be carried in by those who visit.